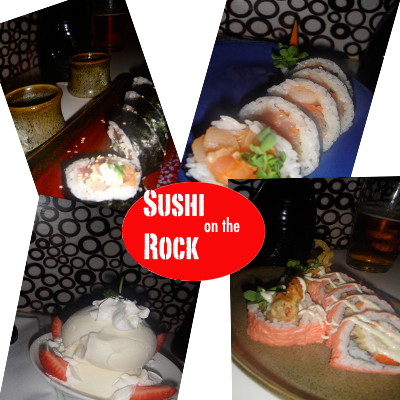 Sushi on the Rock is one of our favorite sushi joints. Although a bit pricier than our go-to spots, they have an amazing happy hour and it is ideal for a special occasion sushi night - like a few Friday nights ago. Ian and I feasted on Spicy Hamachi, Oztar's, and Spyder rolls, washed down with Japanese beer and hot saki. Oh, and they surprised us with white chocolate gelato - we were celebrating, after all. I love sushi on the rocks! Craving sushi and will seek some tonight! Did you say white chocolate gelato? Yummy! I love me some good sushi! I am heading for Sushi tomorrow night. Yum. looks amazing.. i wish it was closer to moi! in LA!